Make your Big Day Extra Special with these soft personalized waffle weave kimono robes! Your bridal party will look amazing getting ready for your wedding. In this set you will receive Three (3) Bridesmaids Robes and One (1) Bride White Rode. All robes will have monogram initials in your choice of colors. You pick the robe color and the monogram color. We are Bring you the Bling! Yes, you will receive 3 Rows 5 Yards of Crystal for a Great Price of $75 plus shipping. Monogram decals are a great way to add a personal touch to your event. Our decals are make of a high quality removable vinyl. The decals will remove easily after your event. There are 4 fonts Times Roman (Shown), Brock Font, Imprint Shadow & Edwardian) and 4 vinyl colors (White Gloss Shown, Metallic Silver, Black Gloss & Metallic Gold) for you to choose from. ﻿As all items are custom made especially for you. They are not returnable. Our Mr. & Mrs. accent pillows are a great way to accent any home décor. 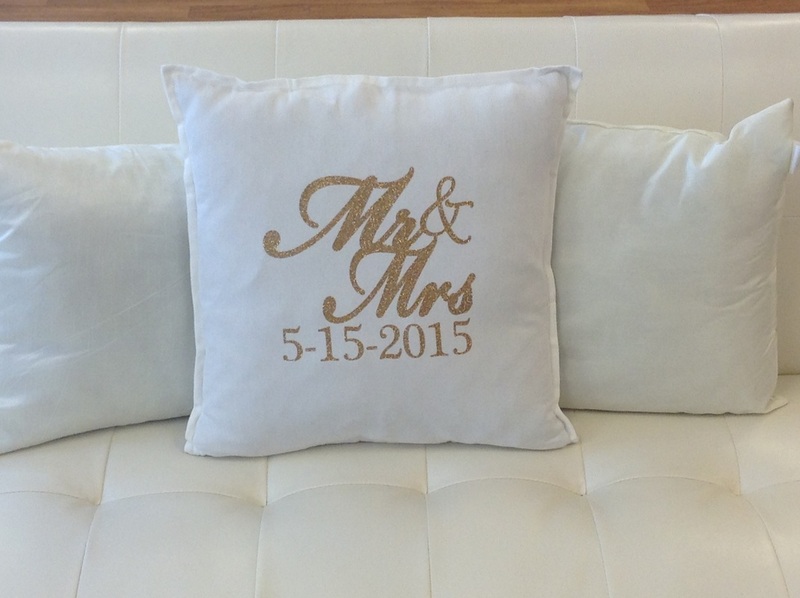 This beautiful pillow are the perfect gift for any engagement , wedding or housewarming gift. Pillow cover are of 100% cotton with vinyl lettering. You will receive one 20"x20" 100% cotton pillow cover and cotton insert with vinyl lettering. ﻿A great gift idea for that person on the go. This garment cover is the ideal travel companion for businessmen and executives on the go. This light weight nylon garment cover measures 24"x42", holds up to six garments and has a full length side zipper for easy access. The frame and monogram letters are made from vinyl. 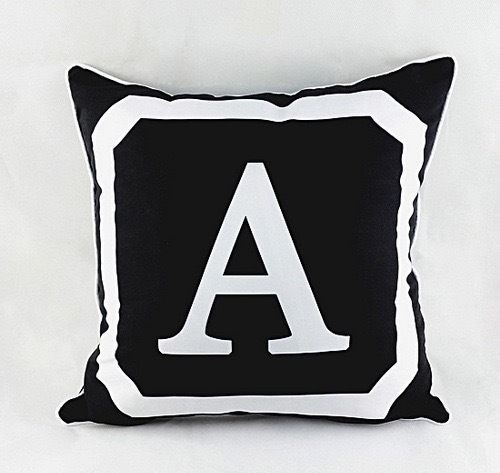 The vinyl color of the frame and monogram letter is black and you pick the color of the name. If you don't see your color in the drop down box that dose not mean that we don't have it. We have provide with you a color chart of all the vinyl that we have in stock. Once you please your order if you color is not in the drop down box place the color of your choice in the text box. You will receive one Garment Cove and One Hanger. This customized lightweight monogram garment cover will be a perfect gift for the person on the go. It's great for the gym. You will receive two (2) garment cover and two (2) wooden white hangers with this order. Pictured: Frame (B), Name Font (1) and Vinyl Name Color (Mint). The frame color will be Black Gloss and the Monogram letter font will be Imprint Shadow. Hanger: has Monogram initial and name only.